Netflix NFLX (NASDAQ), has created an unique new format for board governance that I read about on the Stanford Closer Look Series. David Larker and Brian Tayan detail out the new way that Netflix is engaging their board to guide the strategy of Netflix. The role of the board remains the same; CEO succession, performance review/monitoring, strategy approval, and financial and business risk management. The goals are the same, it’s the just methodology is much more transparent which is reflective of Netflix’s corporate culture. Netflix’s culture emphasizes individual initiative, information sharing, and a focus on results over process. Information is shared with the board in a radically different way, with a focus on increased transparency. No massive PowerPoints with hundreds of pages of graphs and charts. Board member communications are in online memo form, approximately 20-40 pages that are written collaboratively by the CEO and other members of the executive team. The memos have links to all information about the company, available via the Netflix’s intranet. Memos are provided 4-5 days in advance of the meetings and questions of the authors may be written right on the memo and answered prior to the board meeting. The memo highlights business performance, industry trends, competitive developments and other strategic and organizational issues. There are some charts and graphs, but only at a high level and the focus of the memo is to create a narrative about Netflix’s business and strategy. It is intended to give the board a complete picture of the company. This same memo is shared among the top 90 executives and it is a way to create alignment on the goals and the challenges the company. The premise is that a board that has more knowledge and access to information is more nimble, and better understands all facets of the business in order to make high level strategic decisions. Board members are asked to periodically attend monthly and quarterly management meetings in an observational capacity only, in addition to board and committee meetings. Outside the meeting, the board member is encouraged to meet with other members of the executive team and staff and may ask additional questions. Board members are free to share information from the meetings with other board members. Board members aren’t asked to attend all of the meetings, one member might attend the monthly staff meeting, one or two attend the quarterly staff meeting and two to four attend the quarterly 2 day business reviews. Then they share their experiences with each other. Board members get the opportunity to directly observe management and the CEO. They’ll have a better understanding of the issues facing the company, and hopefully see a different level of dynamic among the executive team leading to additional understanding and confidence in the leadership team. This level of engagement gives the board a different view point of the CEO’s leadership style which will be invaluable when planning for CEO succession and they will have an intimate understanding the companies culture and the type of leadership that will be successful. These two fundamentally different board engagement methods provide an increased level of preparation for board meetings allowing for more efficient and focused meetings. The review and the background have been completed in advance and the CEO and directors can review the main strategic questions at hand and move immediately to discussion and Q&A. This does require a larger commitment of time and energy from your board, but likely they find it more fulfilling and engaging as well. In order for this to work at other companies a few things will need to be present and there will need to be some training. You’ll need board members who are committed to doing the additional research, reading and meetings to completely understand the company on a more personal level. Board members would need to be trained to use the memo system with intranet access and online Q&A abilities. This also requires a CEO and an executive leadership team with the confidence to allow their board to have such detailed access to information. Many CEOs would prefer to spoon feed their board information that they deem to be important. We’ve seen how that can go wrong with Mark Zuckerburg and Sheryl Sandberg neglecting to tell their board about the Russian interference issues. 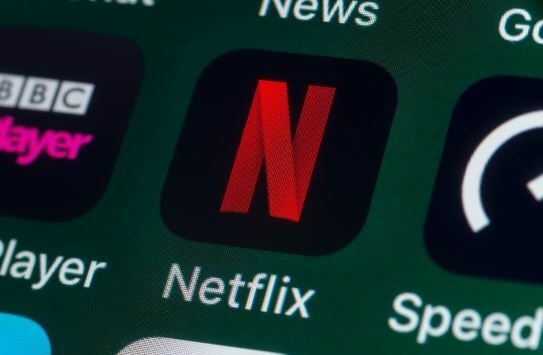 Netflix has been through two massive changes, once when they moved from DVD to streaming and a second time when they began streaming and licensing original content. Both of those actions occurred relatively quickly and required their board to have intimate knowledge of the operations and the people at Netflix. For this particular company, a board that has the information and can pivot quickly and act nimbly has allowed them to transform their business and grow to be an icon of entertainment. While this may not work for every company, consider taking some portion of these new methods and incorporating them into your corporate governance programs to see if it works with your corporate culture and your leadership team’s style. Changing how your board receives it’s information may have positive benefits that can create more dialogue and spur ideas on strategy and transformation.